I wanted a logic AND, OR and INV function for my control voltages. I also wanted to apply these to audio signals. I decided that the logical AND function is really the same as the 'lesser of'. If all signals are high, then the lesser of is also high. Likewise OR is the 'greater of'. 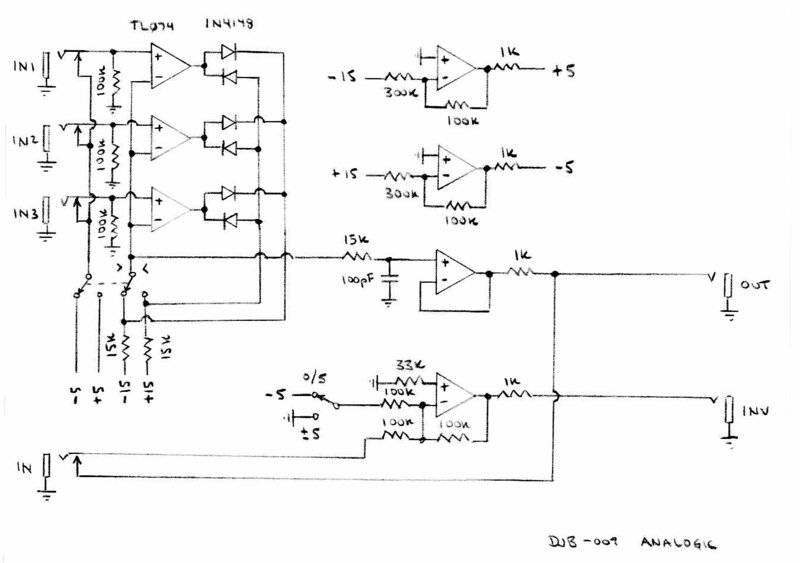 I designed this circuit with three inputs to select either the greater of or lesser of each of the inputs. The jacks are normalized to either +5 volts or -5 volts depending upon the setting of the switch. 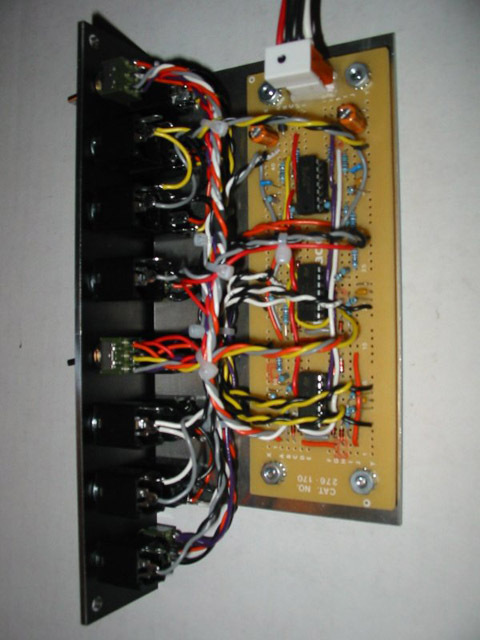 The second part is an inverter which can be selected between +/- 5 volts or 0 - 5 volts for control voltages. This is one of my favorite modules to run audio through. You can get some distinctive sounds from the module.